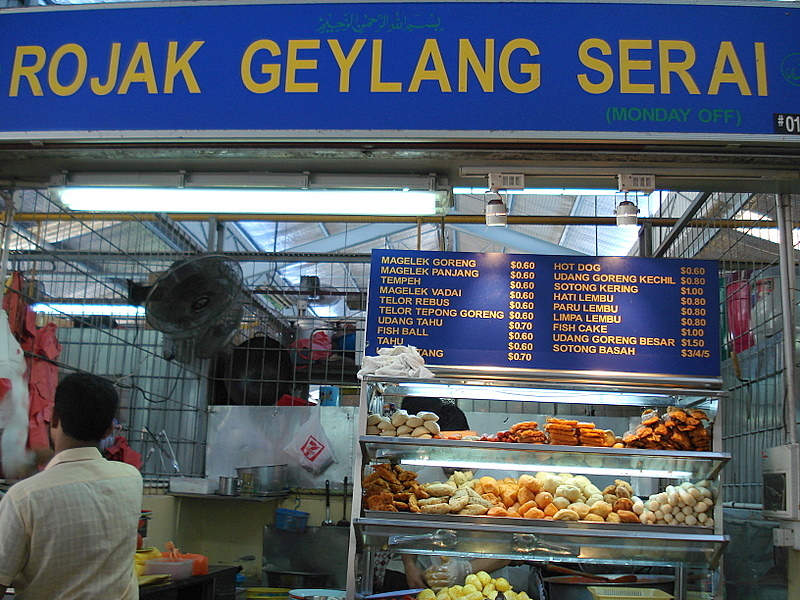 UPDATE 10 April 2009: There has been a major food poisoning incident from this stall! Two women have died, one miscarried her baby and others still hospitalised. 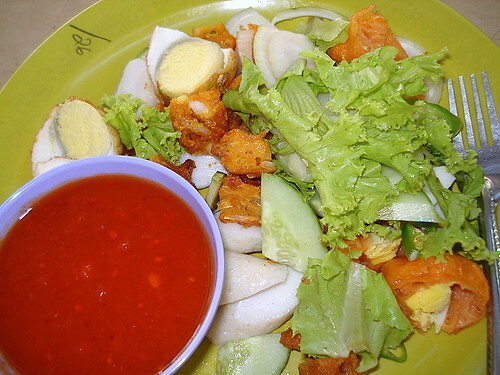 Indian rojak, originally uploaded by Camemberu. Believe it or not, I still felt a bit peckish after Hamid's briyani. Just wanted something else. 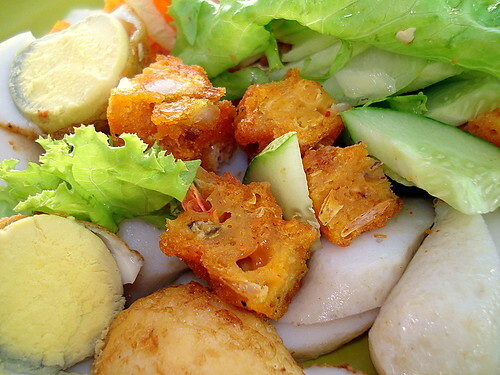 A snack of Indian rojak sounded perfect. Four pieces came up to S$2.60 - most of it average, but there was one really nice, crunchy one with prawn bits in it. I'm wary of sauces so artificially red!, originally uploaded by Camemberu. You can click on the pic to see detailed prices of individual items.